Since 1995, The Race Place has been specializing in the design, restoration and set-up of GT type SCCA racecars, vintage race cars, VSCCA race car restorations, custom fabrication and CNC machining. The Race Place is an authorized REM service provider. We've made the capital investment to handle small and large orders. We provide quick turn around and expert technical advice. We design, fabricate, machine, layout, weld, modify, re-design, re-fabricatie, fix and rebuild your car. We set-up, scale and do a comprehensive Race Preparation for your car so you're ready to race! Gone are the days of rummaging through junk yards looking for a part to modify. Bring it, we'll make it. In-house high performance machine shop gives us the ability to custom build anything for your application. 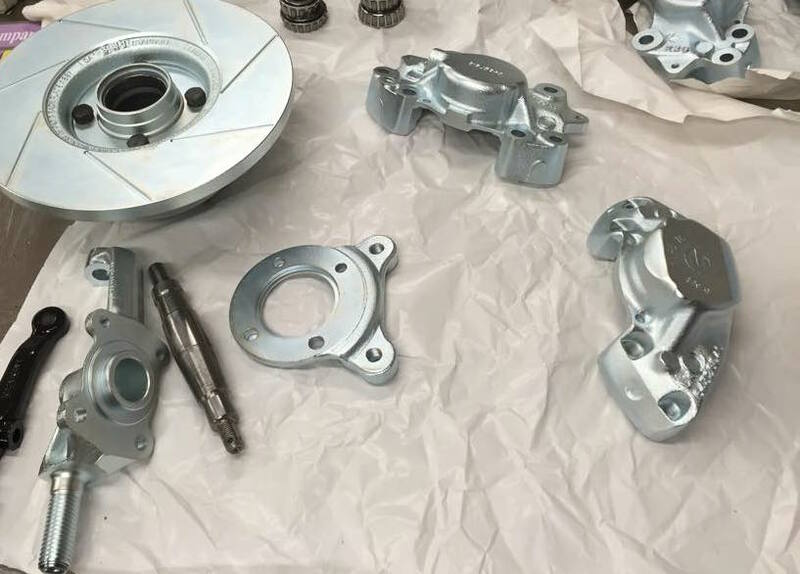 REM Surface Finishing is a cost-effective alternative to a machined surface in racing applications.